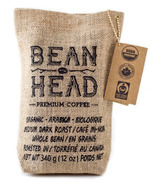 BEAN HEAD is an industry leading organic coffee company that has bridged the gap between high-end reserve coffee and affordability. We should all be able to enjoy coffee that is not bitter, burnt, weak, dull and boring! 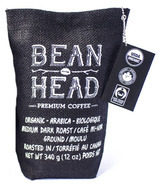 BEAN HEAD?s top rated blend, packed in its unique and authentic straw bag has defined a new standard of quality.